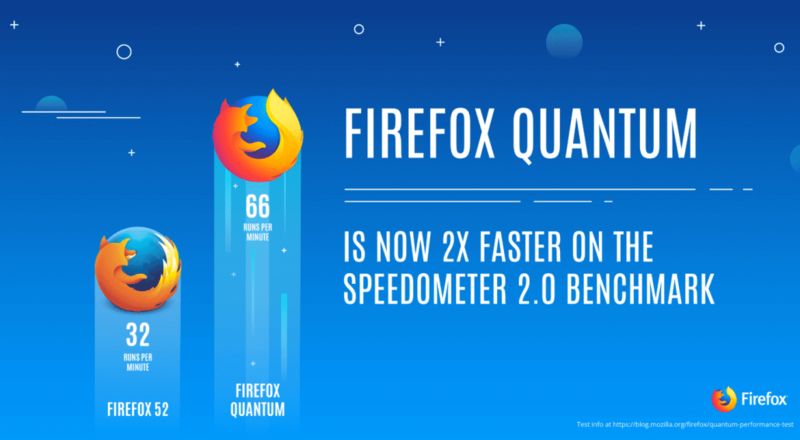 Mozilla beta-released the Firefox Quantum browser today and it is ridiculously fast. Google’s Chrome browser dominates the current browser with 44.5% share of the market, but that dominance might be at risk when Firefox Quantum is officially released. Firefox Quantum is designed for modern multi-core computers, so the system can work in parallel across cores, rather than as one huge process on a single core. Firefox Quantum also approaches tabs differently from Chrome, IE, and Safari. The new browser prioritizes and pre-loads tabs that are frequently used. If you want to try the new browser out, you can download the beta here, and test it out today. Firefox Quantum is available for Linux, MacOS, Windows, Android, and iOS. It also comes in a Developer Edition, for those who build for the web, and want to see what the cutting-edge of Firefox looks like.